In an era where corporate responsibility programs support shareholder value, accurate and consistent reporting of recyclables is essential. 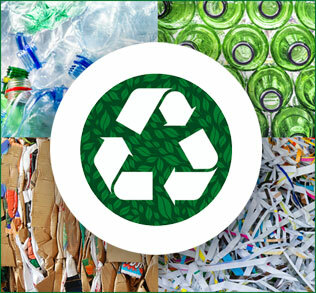 Integrity Recycling offers the most comprehensive tracking reports in the industry. We provide details including the weight, type and location of recovered recyclables. Need a specific report? Ask an Integrity Recycling representative how he/she can help you present the information you need in the most simple, but detailed landscape possible. Complete, detailed reporting introduces a level of transparency that provides confidence to your stakeholders and all constituencies. Integrity Recycling is as committed as you are to conserving natural resources and minimizing residual landfill waste. Each month, you receive, via email or U.S. mail, a report that details your recyclable tonnage, value, and environmental impact. In addition, you can expect to receive regular updates on the recycling commodities markets, changes in legislation, and current commodity values from independent industry publications. At the same time, we continue to monitor industry developments and advise you of technological advances and new markets that might reduce your environmental impact, minimize your costs, and maximize your profits. We aim to forge lasting relationships with our customers, not only through excellent service, but also through ongoing education and operational transparency. As your trusted partner, we want you to know what we’re doing and why.